To assist superior to identify, plan, develop and execute sales and marketing functions and provide technical sales support (TSS) to customers in Northern Region, including Perlis, Kedah, North Perak and Kelantan. To be in charge for branch office in Sungai Petani for the overall administrative and operation functions of the office and sales. To achieve sales targets and other KPIs as defined by the Management. Develop new markets for the group’s products in the North through promotional activities and close interactions with potential clients. To assist superior to ensure sub-ordinate(s) carry out the business strategy accordingly. To ensure timely payment collection from customers. Supervise and provide TSS to all customers using the group’s products to ensure at all times customer confidence, satisfaction and loyalty thus ensuring that market share is retained while securing new markets and customers. As and when directed to carry out TSS work in overseas countries where the Group’s products are in use to ensure customer’s acceptance and satisfaction with products. Resolve customer complaints by investigating problems, developing solutions, preparing report, making recommendations to Management. To carry out other job functions as and when requested by the Directors. Diploma/Degree in Agricultural, Plantation, Chemistry, Business Administration or any equivalent discipline. Minimum 5 years of sales experience in the similar industry and capacity. 5.5 days' week; Willing to work at Sungai Petani, Kedah. Independent and with outstanding interpersonal and communication skills. Positive attitudes, hardworking with high level of initiative, able to work under minimum supervision and regular reporting. Possess own transport and willing to travel locally and regionally. Only shortlisted candidate(s) will be called for interview. To monitor and control all the daily operation of inventory management. Update the Stock Card and inventory system. Arrange for delivery, assembly, and distribution of supplies and parts, i.e. mould in order to expedite flow of materials and meet production schedules. Examine documents, materials, and products, and monitor work processes, in order to assess completeness, accuracy, and conformance to standards and specifications. Request and maintain inventories of materials and supplies necessary to meet production demands. Review documents such as production schedules, work orders, and staffing tables to determine personnel and materials requirements, and material priorities. Record production data, including volume produced and consumption of raw materials. Compile and prepare documentation related to production sequences, transportation, personnel schedules, purchasing, maintenance and repair orders. Compile information, such as production rates and progress, materials inventories, materials used and customer information, so that status reports can be completed. Calculates factors, such as types and quantities of items produced, materials used, amount of scrap, frequency of defects, and worker and department production rates. Revise production schedules when required due to design changes, labor or material shortages, backlogs, or other interruptions, collaborating with management, marketing, sales, production, and engineering. Confer with department supervisors and other personnel to assess progress and discuss needed changes. Distribute production schedules and work orders to departments. Ensure proper and up-to-date documentation and filing for production, maintenance and ISO related records. To inform the Head of Production and/or Finance Department immediately if inconsistency and/or fraud are discovered in any related matter. To carry out any other related tasks as assigned by the Company from time to time. Minimum SPM/STPM with working experience. Working experience in manufacturing will be an added advantage. Computer literate and familiar with Microsoft Excel & Word. Able to converse and write in Bahasa Malaysia, English and/or Mandarin. Hardworking, willing to be multi-tasking and good attendance. Willing to work in Olak Lempit, Banting. ​ONLY SHORTLISTED CANDIDATE(S) WILL BE CALLED FOR INTERVIEW. To assist monitor and control all the daily operation of inventory management. To check and update attendant’s daily attendance and overtime. To assist in coordination of orders for raw materials, supplies and equipment. To update and check on stock cards. To monitor the movement of stocks. To ensure stock system is being update constantly according to store received and delivered. To check on Load and Unload goods against order forms. To check condition of container prior to loading. To obtain details of the location and quantity of items in stock, using visual display units or computers. To arrange attendant to place goods in correct and appropriate places. To ensure work area is neat and tidy, and all safety measures are being adhered to. To inform the Superior immediately if inconsistency and/or fraud are discovered in any related matter. Working experience in the related filed is required for this position. Knowledge in warehouse/store management and driving forklift. Computer literate and familiar with Microsoft Excel. 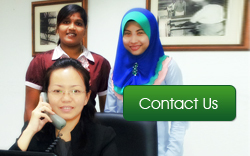 Able to converse and write in Bahasa Malaysia, English and / or Mandarin. Hardworking and good in Mathematic. ​ ONLY SHORTLISTED CANDIDATE(S) WILL BE CALLED FOR INTERVIEW. Mengagih and menghantar barang-barang ke/dari Gudang Kajang / kilang dan sub-kontroktor. Sending goods to local clients or suppliers. Menghantar barang-barangan kepada pelanggan atau pembekal tempatan. Ensure receiving (loading) and issuing (unloading) of correct materials / goods accordingly to requisition. Memastikan penerimaan (pemuatan) dan pengeluaran (pemunggahan) bahan-bahan adalah betul menurut permintaan. Assist in receiving (loading) and issuing (unloading) goods. Menolong dalam penerimaan (pemuatan) dan pengeluaran (pemunggahan) barang-barangan. Handling the vehicle and perform minor maintenance, repairing if needed. Mengendalikan kenderan dan melaksanakan penyenggaraan asas, pembaikpulhan kalau perlu. Ensure goods/items are handle in safest manner during delivery. Memastikan barang-barangan/bahan-bahan dikendalikan dalam keadaan yang selamat dan baik pada waktu penghantaran. To perform on-time daily delivery as schedule. Melaksanakan penghantaran harian yang tepat pada waktunya. Record the delivery schedule in the logbook by daily basis. Rekod jadual penghantaran ke dalam buku rekod setiap hari. Melaksanakan kerja-kerja pentadbiran untuk kilang Banting dan/atau ibu pejabat Kajang iaitu buat bayaran bil-bil, transaksi bank, pejabat pos dan lain-lain. To perform such other function as may be assigned from time to time. Melaksanakan kerja-kerja lain yang berkenaan seperti yang diarahkan pada masa ke semasa. Familiar with Klang Valley areas. Biasa dengan kawasan Klang Valley. Boleh berkomunikasi dengan baik & jelas. Careful, tactful and present characters. Prihatin, bijak & berwatak baik. Candidate with GDL is an added advantage and preferred. Pemohon yang mempunyai lesen GDL didahulukan. Possess valid driving license (motorbike).